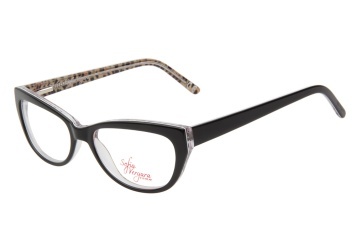 This is a great pair of Sofia Vergara Winnie Brown eyeglasses to try on virtually right here on ViewTry. This exotic cateye style has a layered acetate composition with a crystal interior boasting a vivid leopard print white center and modest black exterior. Now is the time for you to see how you look wearing this exact pair of frames, without having to go into a store. Enjoy your experience.